The DTM110-C8 Class II (no earth ground needed) external power supply from TDK Lambda meets DoE Level VI and EU Tier 2 v5 standards for efficiency and off-load power. It is also certified to the medical IEC 60601-1 and industrial IEC 60950-1 standards, making it suitable for a variety of hospital and home healthcare applications, plus industrial test, measurement and portable equipment. It is housed in a rugged, IP41 rated, vent-free enclosure measuring 63 x 140 x 33 mm (W x L x H). AC is applied through a standard IEC 60320-C8 (2-prong) socket and the output DC cable is fitted with a 4-pin Power-DIN connector as standard, with other connector types available. The adapters feature over-voltage and over-current protection. 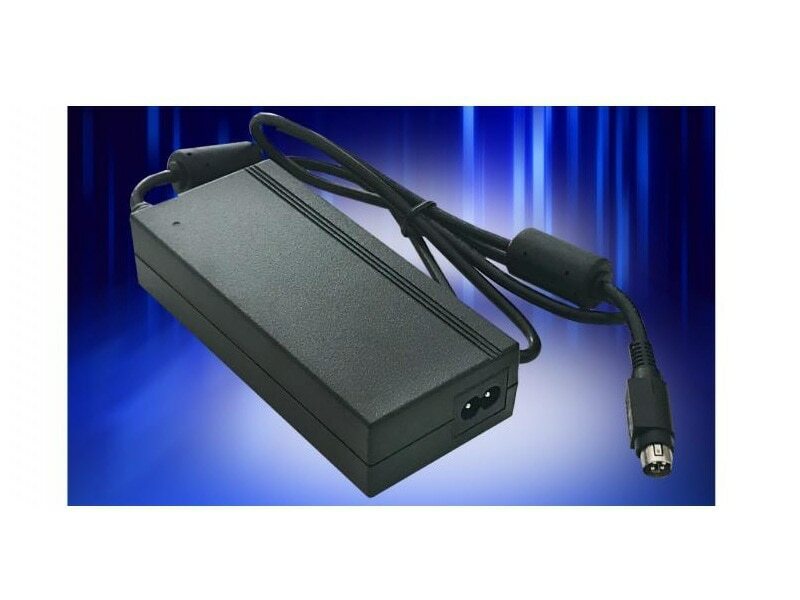 The 105 to 110-W adapters accept a 90 to 264 Vac input, and are available with 12, 15, 19, 24, 28, 36 and 48-V outputs. They operate in ambient temperatures ranging from -20 to +60°C (derating linearly to 50% load from 40 to 60°C). They meet DoE Level VI and EU Tier 2 v5 requirements with an average efficiency of greater than 89% and have an off-load power consumption of less than 0.15W.